500 gm. any firm fish of the season. 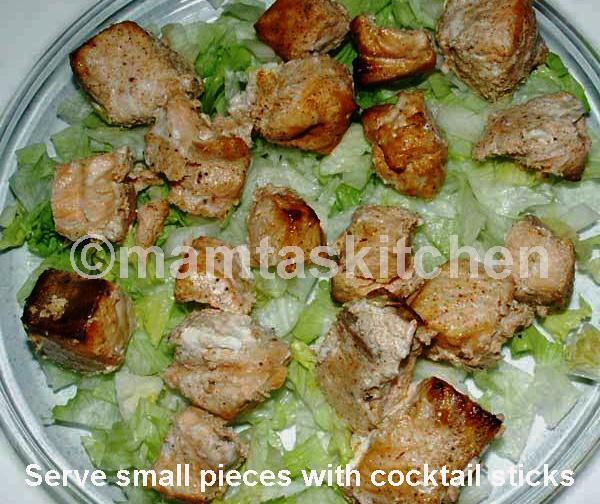 Salmon is good for this dish. 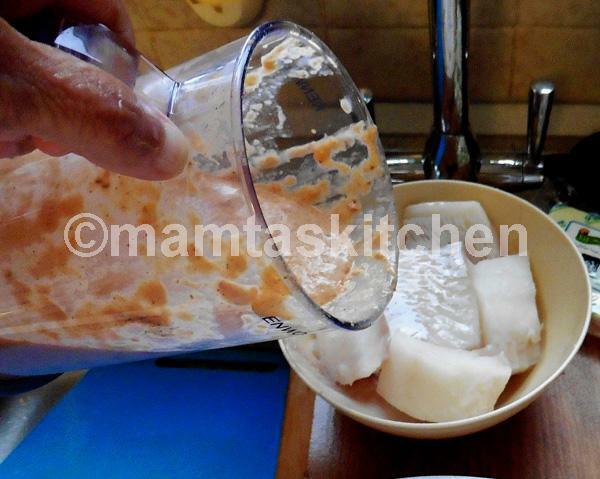 A handful of coriander leaves or fresh dill, washed and chopped or thin slices of lime/lemon. For a main course, you can keep the fillet whole. 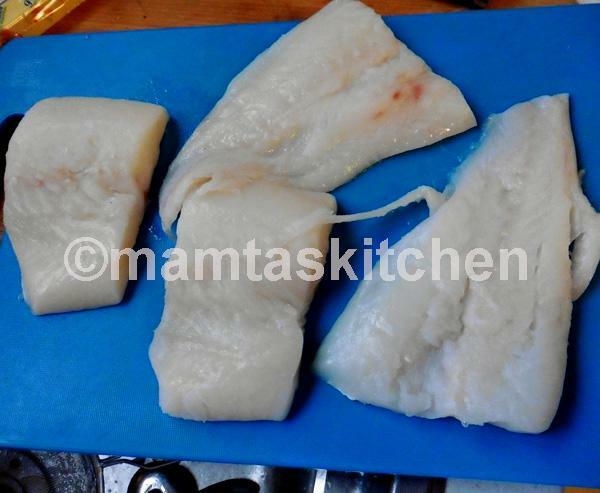 Otherwise, cut fish into serving portions or slices (cubes if you are planning to cook it on skewers), wash and dry on a kitchen towel. 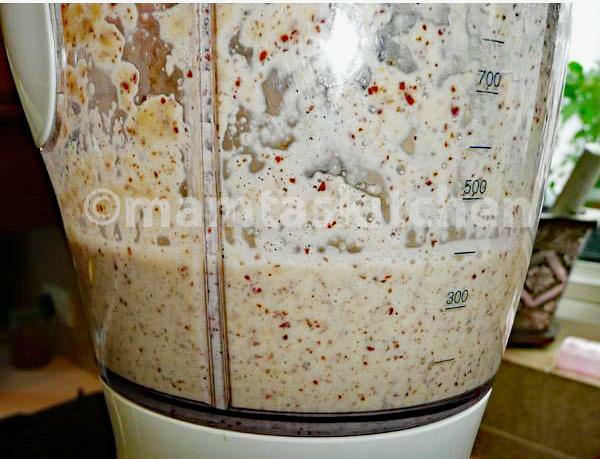 Place all marinade ingredients in a food processor and grind to a fine paste. 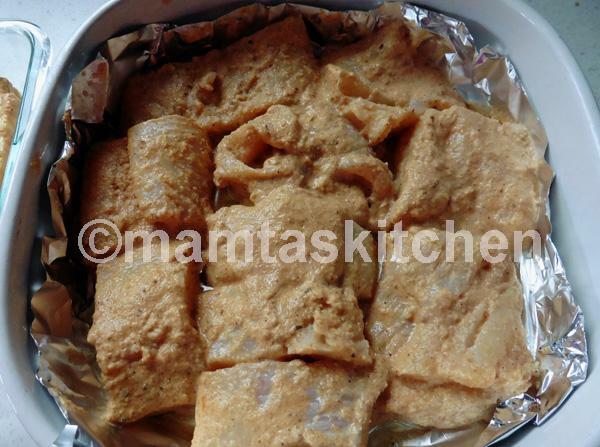 Cover fish pieces in this paste and marinate for a few hours or keep overnight in the fridge, in an airtight container. 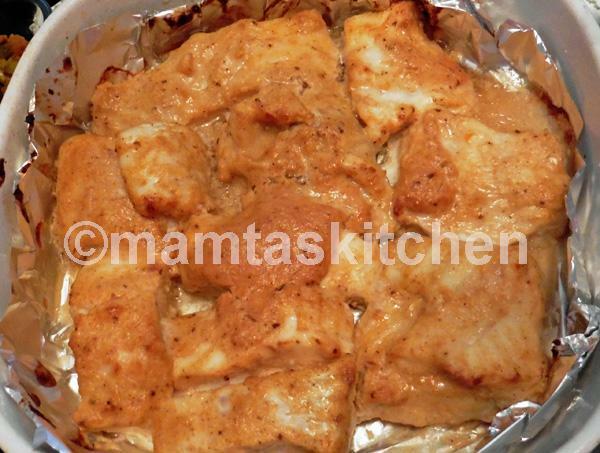 Cooking: Place fish in an oven-proof dish and bake in a hot oven at 200-220C or 400-425F for 10- 15 minutes. Or thread on a skewer and cook on a BBQ/oven. Or cook in a frying pan. Fish should flake when touched gently with a knife. 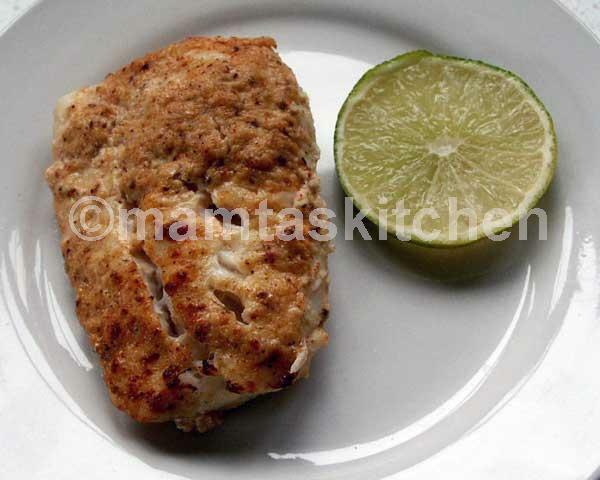 Serve hot, garnished with fresh coriander leaves or dill or lime/lemon slices and Green Chutney. This fish can be grilled, barbecued on bamboo skewers or in a fish cage or even cooked on a griddle. Tomatoes can be omitted. You can omit turmeric, if you don't want the fish to look yellow. You can use roasted and coarsely ground cumin seeds instead of black pepper. 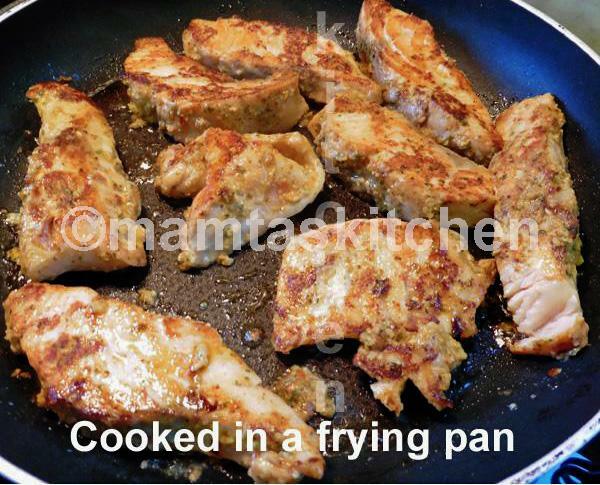 You can add ajwain/carom seeds to the marinade. Experiment by adding other spices to the marinade.